14 lifts including 3 chairlifts and a dozen of surface lifts with the lift for children and beginners "CYPISEK" make Korbielów a ski resort. Pilsko (1557m n.p.m.) is the second highest ski mountain in Poland after Kasprowy Wierch. 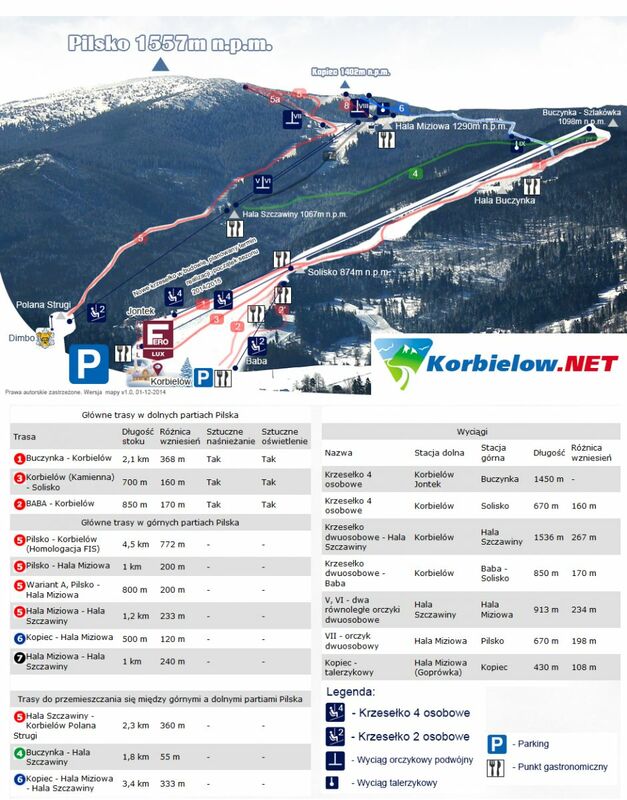 Ski runs and lifts in the Pilsko Mtn. area, in Korbielów, have the highest elevation in the Beskids, and the second highest in Poland after the ones located in the Polish Tatras. This guarantees very good snow conditions and a unique microclimate. 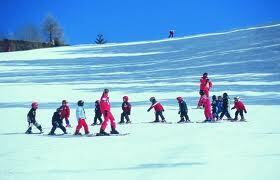 Pilsko offers a total of 23 km ski slopes with varied ski runs. 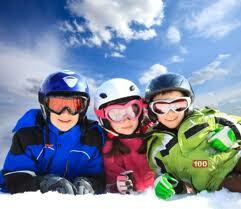 It is also an advantage that the one ski pass is valid for 8 ski lifts. In the Pilsko area the ski runs are varied and graded by difficulty - from easy, gentle to advanced. The slopes are prepared by snow groomers. Lighting and snow blowers working on the lower slopes ensure appropriate conditions for skiing. For children a ski kindergarten "Dimbo" is available, there is also organized a series of ski competitions - Alpine skiing, Skicross, Carving, Freestyle. The safety of the tourists is ensured for 24 hours by the Mountain Volunteer Search and Rescue Service. The Pilsko ski resort offers the best natural conditions for skiing and snowboarding in the Beskid Mountains and throughout Poland. This is thanks to altitude and unique microclimate.